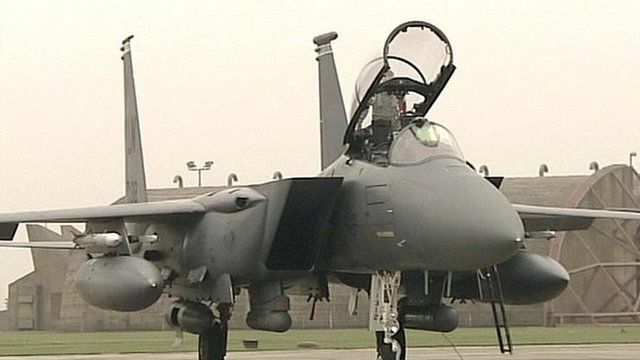 F-15 fighter jets from RAF Lakenheath in Suffolk have been deployed to the Baltic region to monitor the ongoing crisis in Ukraine. US Defence Secretary Chuck Hagel said six jets would be deployed to Lithuania, with support staff being transferred to Poland. Four Lakenheath jets are already based in the area, having been part of a Nato mission for the past 10 years.